As a part of the creative team in a Marketing course dedicated to the competition, I helped develop this campaign for NSAC 2016. 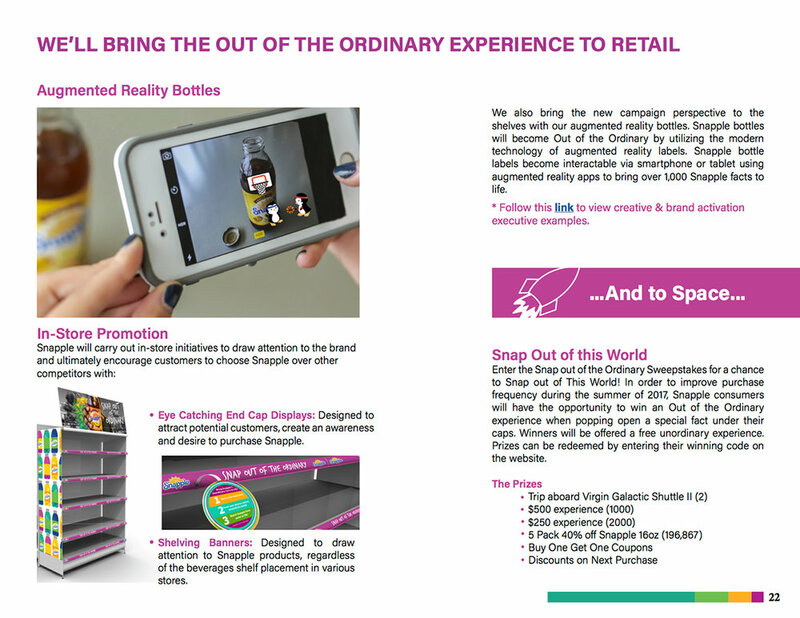 Our team created a fully integrated marketing and advertising campaign for Snapple, the client for this year's competition, over an intense and rewarding 6 months. Our team took 3rd place overall in District 1. Utilized Adobe Photoshop and Illustrator to create various components of the campaign, including a mock-up version of an Augmented Reality feature, social media graphics, and elements of the TV spot.